We’re coming back to Western Europe this May! Really pumped on this tour Total Volume put together. It has us taking part in Desertfest London for the first time… Other shows see us supporting Earthless, Kadavar, Mondo Generator & Electric Citizen! The rest will be WHB headlining. 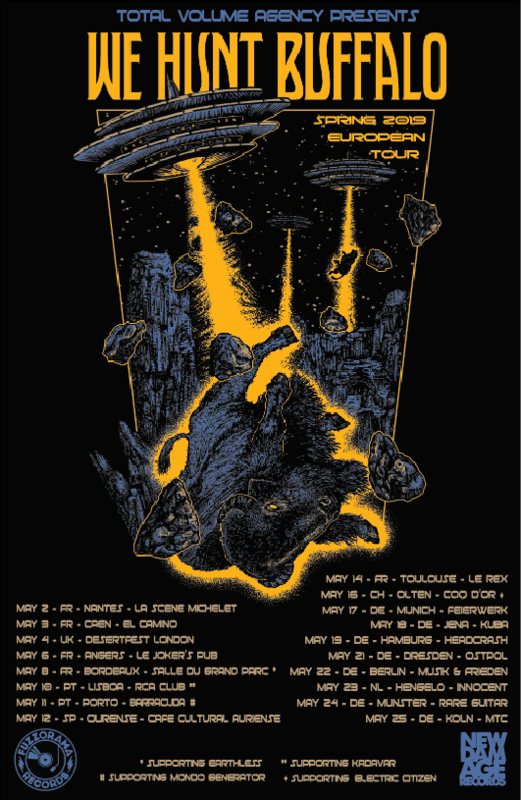 We liked Vaderetro’s t-shirt design so much we decided to use it for the tour poster too.